If you’re on Instagram and you’re into make-up like me, you might have come across Shaheer Khan’s name. 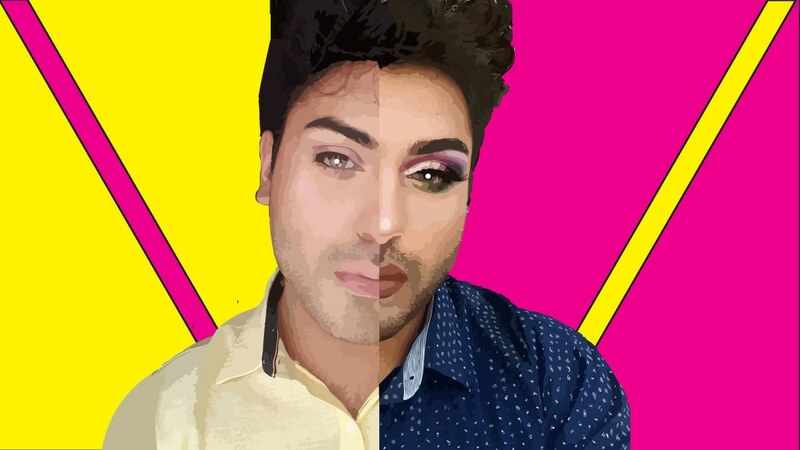 Better known by his Instagram handle @madeupshaheer, Khan is a self-taught make-up artist wowing his audience on Instagram with gorgeous eye looks, garnering a following of more than 11,000 followers, and catching the attention of both local and international brands—Anastasia Beverly Hills once featured him on their Instagram, and he’s got discount codes with various make-up brands. However, the most interesting thing for me was the fact that Khan is a man in make-up, and that too in Pakistan. 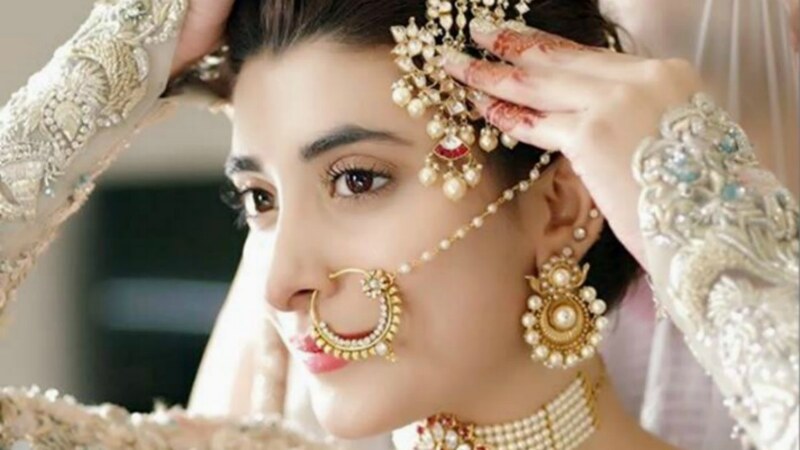 Whilst the international make-up scene is slowly becoming more diverse with male make-up artists who wear make-up themselves, the same can't be said for Pakistan where, one is tempted to say, the make-up industry at large (i.e. beyond the entertainment industry) is still in its infant stages. Thus, when I first started following him, I wondered how he managed to keep make-up as a hobby, considering the gender norms and taboos prevalent in Pakistan. ‘Maybe he’s super-privileged living in the big city who’s hiding it from everyone’, was what I thought—and let’s be honest, you’re probably thinking the same too. But as time went by, I soon came to realise that Khan doesn’t have the trappings of typical privilege; if you follow him for some time, you’ll discover that firstly, he’s just like any other ordinary citizen in our country, secondly, he’s from Multan (small-town stereotypes kicking in, anyone? ), and lastly, he’s kind of a woke sweet-heart. Knowing these things about him further piqued my interest, so I decided to interview him and see what else there is to the Shaheer than meets the eye (yes, lame pun intended). “I’ve always been into make-up, like ever since I was a child I was really intrigued by make-up and it was something that fascinated me… I would use my mother’s make-up, like her lipsticks and her blushes, just like smear my face with them. So make-up has been a part of me for my entire life,” says the 21-year-old in his WhatsApp voice message — the fact that he’s smiling as he’s recalling this is evident from his voice. Originally from Swat, Khan’s family settled in Multan before he was born. They temporarily relocated to the Gulf, but Khan moved back to Multan to pursue his higher studies and is currently pursuing a bachelor's degree in English. Although he was always fascinated by make-up, Khan only thought of pursuing make-up seriously when he entered university and started watching YouTube tutorials. Eventually, his best friend sent him “a make-up starter kit” for his birthday. That is one cool best friend, I remark, and Khan laughingly agrees. Khan sounds like any other student his age; he’s thoughtful and polite, which makes me feel like I’m conversing with a friend, despite the fact that we are essentially strangers to one another. I wait for the right time to ask the question that I have had on my mind since I started following his account: Does his family know about his account? Were they surprised? Well, not exactly. “My family, friends and acquaintances […] already knew that I was into make-up, so it didn’t come as that big of a surprise as you would typically expect." "But like when I told them about my Instagram, the only thing that they told me was that they were worried about my grades at university. But I told them that my grades would not be affected by my make-up career, so… yeah, they, like, took a chance on me and I did just as well at university while handling my Instagram,” he narrates. Inspired by make-up artist Giulianna Maria's editorial style of work on Instagram, Khan started his account on February 11, 2017. For almost a year, his following was stagnant with around 900 followers. Then, suddenly, he started hitting everyone’s radars. Various bloggers started featuring him, and he even got featured in a Buzzfeed article! 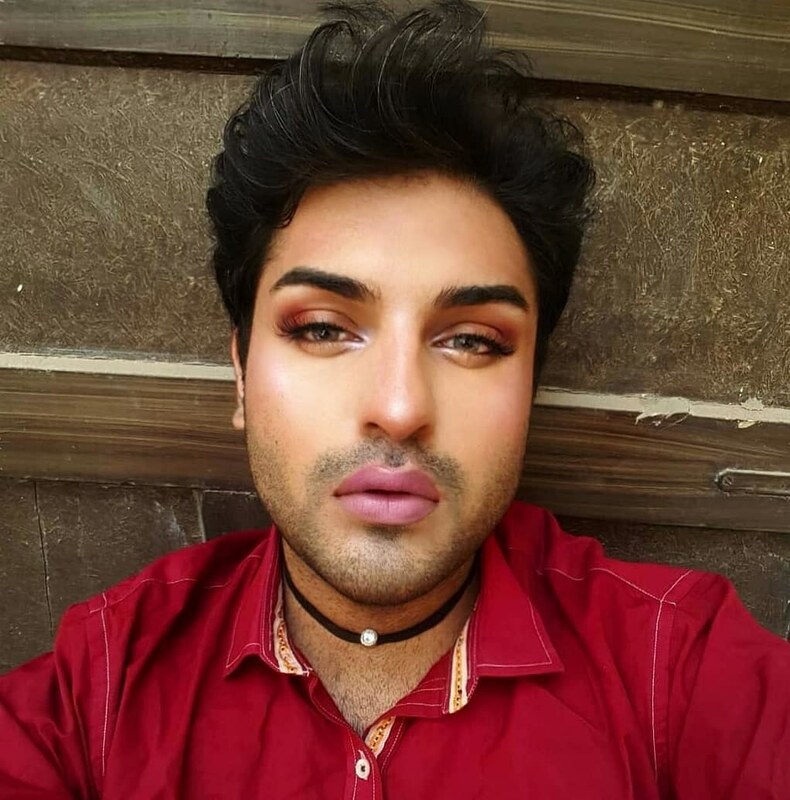 The article helped propel him as one of Pakistan’s favourite MUAs on Instagram and Pakistan’s only male MUA on Instagram. What I personally love about him is how responsible he is as a public figure; let’s be honest, most people refrain from commenting on sensitive issues to stay in everyone’s good books. But Khan has never hesitated to take to his Instastories and share his views, whether that be telling young bloggers how the local industry may try to exploit them, or reminding certain privileged MUAs that self-taught MUAs have the right to call themselves professionals too. Considering how people often rush to stereotype make-up and anyone who loves make-up as shallow, it is good to see Khan as one of the MUAs who has more to offer alongside his skills— and boy, does he have skills! If anyone wants to bring their blend game on point like him, he offers one-on-one online sessions for an affordable price. While Khan shies away from confirming whether he's collaborating on a palette soon (that's what you do when you have enough followers and discount codes), he does reveal he wants to start a Youtube channel soon. I asked him if he wants to offer a Masterclass sometime, to which he humbly replied, “AHHH I still wouldn't consider myself a master in makeup so a "masterclass" may not happen anytime soon. We'll see what the future holds, though”. “This question is really exciting, I love talking about this stuff," came Khan’s reply when I asked him about make-up. From favourite brands to his recommendations, from what he looks for in make-up to his holy grails, I asked him everything I could think of, and here’s the breakdown. First, holy grails: Khan swears by the lipsticks from Entice Cosmetics and TT Cosmetics, and loves the lip-glosses from Golden Rose. He also loves Jeffree Star liquid lipsticks because they’re good for doing eyes too. Speaking of eye-work, some of Khan’s favourite brands are: Sugar Pill for their bold branding, colours, pigment and formulation; Morphe eyeshadows for bringing good quality at a decent price; SUVA beauty hydra liners, which have a good formula and colour range. The eye primer and brow kit from Luscious Cosmetics is his absolute fave right now, and his favourite mascara and eyeliner is from the British brand Eyeko. For complexion, he loves the Ultra HD stick from Make Up Forever. "Makeup isn't just there to cover up one's insecurities— it's for exhibiting an image, or a persona. I would love for makeup to be used for self-expression in Pakistani society." Whilst nearly all the above brands are Khan’s favourites for “his aesthetic”, when I asked him about which brands would he recommend for our readers. Morphe was the obvious choice for Khan, because Morphe “is a really good, affordable brand with good quality product”. Entice Cosmetics have great lipsticks and primers that everyone should check out. Beautify By Amna has really good primers and serums “especially for the price point”. Luscious Cosmetics, for being both affordable and “up to par” with international brands. 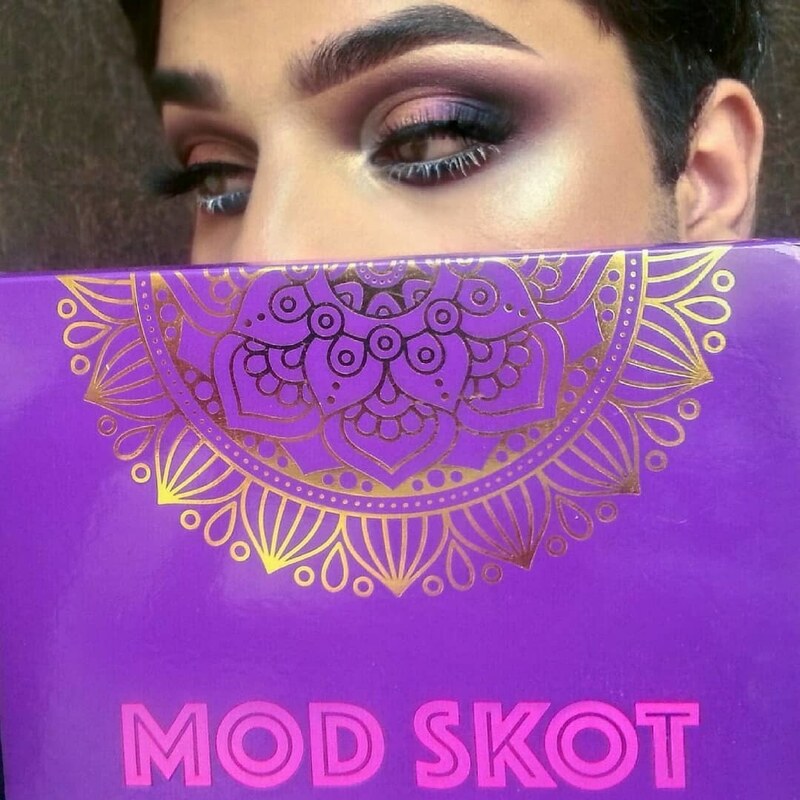 Zay Beauty is another local brand that Khan highly recommends, mentioning how their Mod Skod palette “is such an iconic palette, such good quality, and so well thought out”. 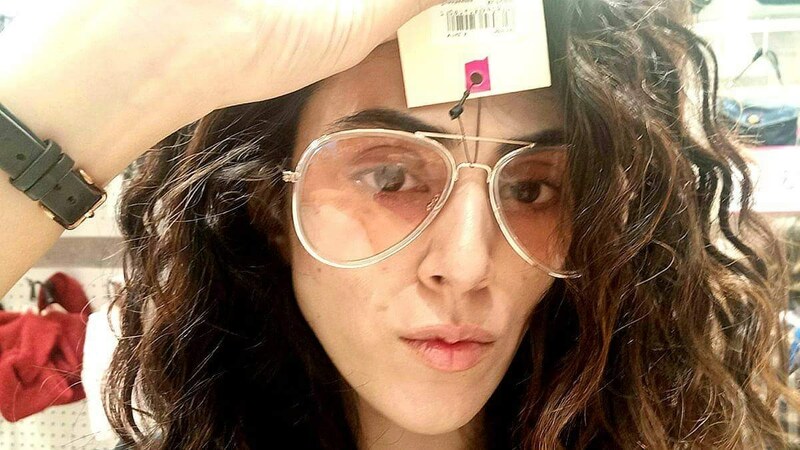 Khan was very particular about recommending local brands “because the Pakistani make-up industry is KILLING IT recently […] and I am so proud of them, and I would rather use a Pakistani product than something from abroad anyway, because I want to support my country and I want to support my people, and I’m really proud of them”. This is just another way of saying I bombarded Khan with a lot of questions because my team and I were really excited to hear his answers. Where do you get your make up from? Mostly family and friends who send him make-up from abroad, along with brands that he collaborates with. If he needs to buy anything, most things are available in Multan, especially since Khan isn’t that picky and doesn’t mind using drug-store make-up, and if something isn’t available, there’s always online shopping! Which brands are you currently collaborating with? Luscious Cosmetics, Beautify By Amna, Sigma Beauty (!!!). Khan says he’s “very picky with who he religiously follows”. RawBeautyKristi on YouTube is one, because he loves “how casual and relatable” her videos are. James Charles and Jeffree Star for their out-of-the-box, enjoyable and innovative content. Khan confesses that he is more inspired by Instagram artists than Youtubers when it comes to inspiration, with Giulianna Maria being on the top of his list, along with Rocio Cervantes (whose “Youtube is a banger” too). Which celebrity’s make-up do you love? "I absolutely love the late Madam Noor Jahan's makeup! Iconic!! !," he says. Thoughts on the local make-up scene? "The local makeup scene is pretty tame and, although dormant, still quite immature. Makeup is not as big in Pakistan as it is abroad and the variety in self-expression through makeup is very rare but, slowly, things are definitely changing!" Which make-up trends do you want to see Pakistanis follow? I would love for makeup to be used as self-expression and to be normalised in Pakistani society. Makeup isn't just there to cover up one's insecurities— it's for exhibiting an image, or a persona. It's for experimenting and for self-empowerment. What do you love other than make-up? I love literature and poetry! I also love music, it's my favourite form of art after visual arts. I really enjoy cooking from time to time as well. I'm a very boring 'lil boy hahaha. Which celebrities’ make-up would you love to do? Hungry on IG and Bjork! I know many of you might be wondering, ‘Okay, we get it, man who does make-up, very exciting, but so what, why does it matter?’, and the honest answer is that, despite your scepticism, it matters on many counts. Whether you think of Khan as a man in make-up defying societal restrictions and stereotypes, or as someone adding diversity and representation to both the local and international make-up scenes, he is doing all that whilst also demonstrating how far dedication to a craft can take you—and that make-up is indeed a craft. Whilst it is very tempting to argue the materialistic status of make-up in our current world, we can't ignore how the rise of make-up and MUAs on social media has helped to diversify make-up like never before and spark debates and voice concerns that previously had been unheard. For example, shade ranges in the international make-up industry are blatantly biased against people of colour, just like many structures that are inherently racist, and the rise of beauty gurus has consequently helped to address those structures and change them to some extent. Too Faced collaborated with Jackie Aina, for example, to expand their shade range after she raised concerns on her Youtube channel. This further opens up the space to discuss how we encounter racism in various forms as consumers. Thus, when considering how the producer-consumer relationship in the world of make-up has become multi-faceted, supporting and appreciating local MUAs is important not just for the development of our industry but also for the purposes of representation — prominent artists can raise awareness about other matters and project positive, accurate images of our country and society. By understanding how industries and social structures work, and how universal notions of politics, race, equality and representation manifest in those structures, we can have conversations that can set about the necessary changes we wish to see in society. Just like Khan is more than just his love for make-up, our industries and our relationships to them are more than what we may think. Would you pay Rs180,000 for your bridal makeover? Shaheer Khan you are the best. Love your make up. Great article! Fantastic stuff, your story is inspirational and adding much needed diversity to Pakistan's beauty industry! brilliant story. power to you shaheer khan! Great to get to know Shaheer, although it would be even better to look at his life more deeply than through a smug, sanctimonious lens of gender-identity politics.